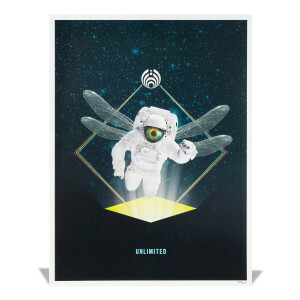 Numbered poster featuring artwork from Unlimited. I was very happy with the material of the poster and overall it’s very nice but the only thing I didn’t like was how small it was. I figured it would be bigger than the actual size but other than that defiantly worth the money! So I'm really impressed with this poster. The paper stock it's printed on is thick and sturdy, way more durable than posters you'd buy at a big box store or from many Amazon vendors. This poster in particular has a surprise which took me a few months to notice: the wings and eyeball of the astronaut glow in the dark! It's subtle and you'll need to turn off other lights including computer screens, but it glows! 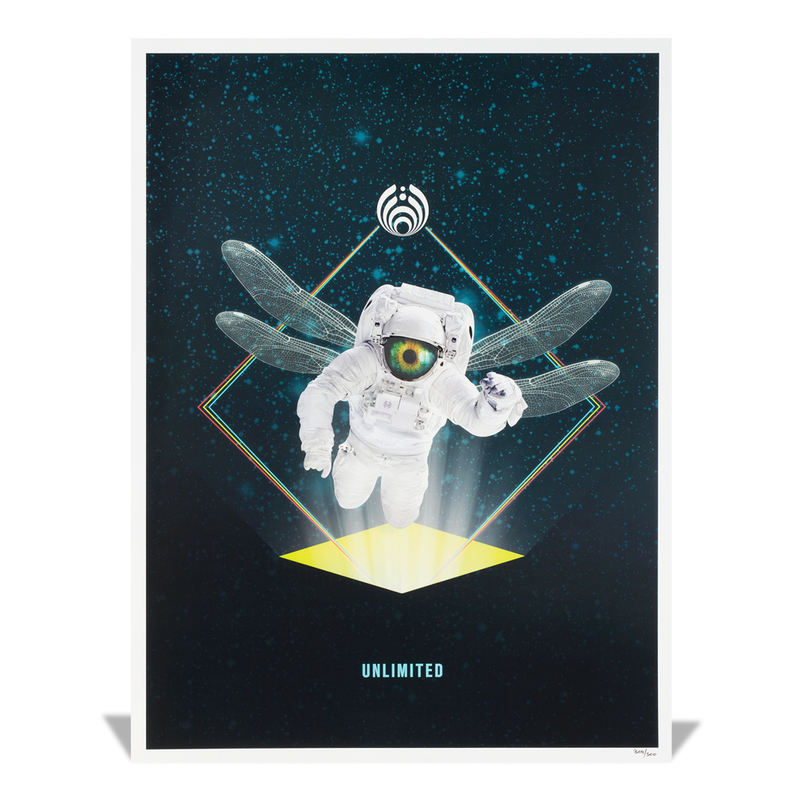 My favorite Album Bassnectar has out right now so of course get the album cover as a poster and also recently saw him in Chicago Spring Gathering and he was amazing.